So April is knocking on the door, announcing that the spring is over and be ready for the hot, hotter and hottest months of April, May and June in India. With this it is also time to unveil the monthly calendar, so for April 2015 calendar desktop wallpaper we have this picture of a magical Sunset from the banks of Lake Vembanad, in Kerala. I clicked this particular picture at Kumarakom Lake Resort, where Prince Charles celebrated his birthday along with Duchess of Cornwall. 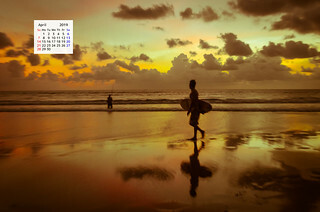 The April 2015 calendar desktop wallpaper is available to you in 3 sizes. You just need to click any of the pictures below to download the size you want. 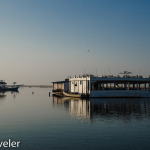 The story about the picture: As I was moving around checking the banks of Lake Vembanad, considered longest lake in India with a length of 96 KM and width of 14 KM, the Sun was getting ready to melt in to the placid waters. Just then I saw this couple silently enjoying the sunset and I framed the picture to include them in the frame. I clicked about 10 pictures, quickly changing the settings as the light was changing quickly with the Sun taking plunge in the waters. Once done I walked up to the couple, who were in 60s and visiting Kerala for Ayurveda Treatment, and showed them the pictures and told them that I clicked them along with the sunset. They both liked the pictures and laughed profusely and said they love the sunsets in Kerala. 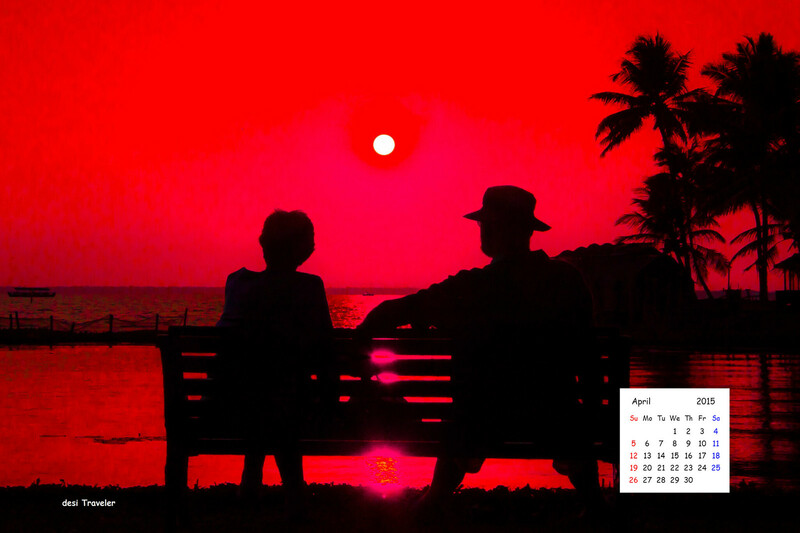 Of all the pictures clicked of that beautiful Sunset, I like this one here the best and used it in the Calendar for month of April 2015 . The image was processed in Lightroom and colors were deliberately saturated to give the extreme bold red look. Your calender is my desktop wallpaper. 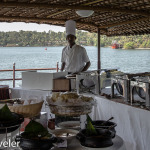 Thanks a lot Swati… do watch desi Traveler as I upload one for every month.. This is fabulous capture! 🙂 Reminds me of my Kerala trip 2 Poovar! Thanks… I was in Odisha in July during the Ratha Yatra, hopefully Lord Jagannath will call me again soon :). Lovely pics on the calender. They look so calm and nice. Lovely to look at. I will certainly download one of these. Thanks very much. Thanks for sharing. And thank you. Thanks Nisha…always good to hear from you…Happy April..
Great pictures, nice thought as well. Awesome post, with awesome pictures. Nice mixture of blogging. Thanks for sharing this. These posts of yours remind me to ‘turn the page’ on my calendar. 🙂 Always a awesome to know that 🙂 Happy April…. 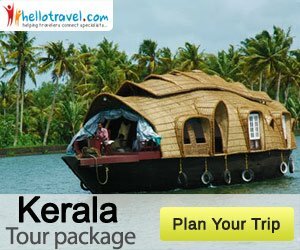 Winners of Kerala Travel Book Contest YES ! I Visited Jordan and Love To Tell The Tale !! !